I recently bought two cheap webcams on Amazon and was planning to do some experiments with a dual webcam configuration. These cameras got pretty decent reviews and cost only a few dollars a piece, so I thought what could go wrong with these anyway? But the actual webcams I received are not exactly the same. 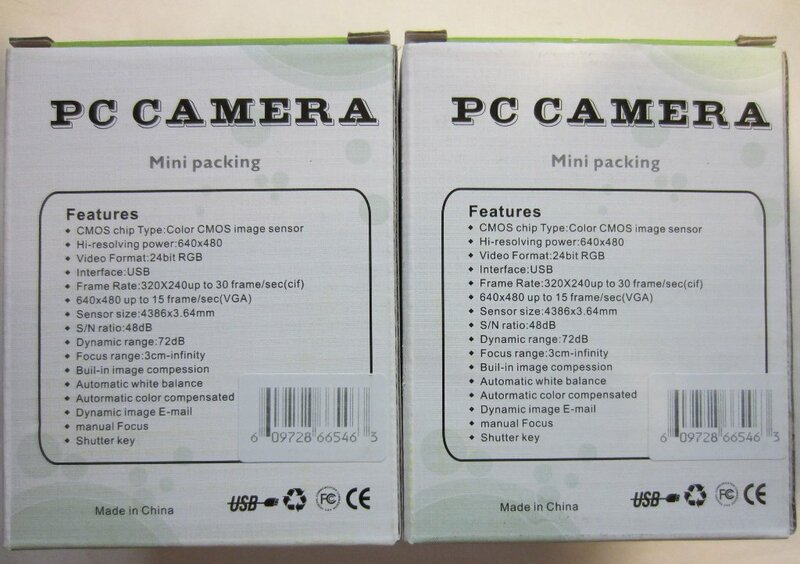 The webcam themselves look exactly like the one shown on Amazon, and both have the same product UPC. But the similarity ends there. 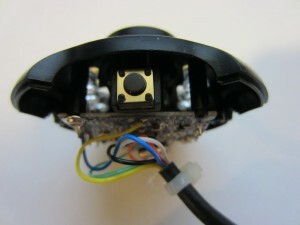 One webcam comes with an extra TRS connector for microphone input. Differences aside, do they actually work? 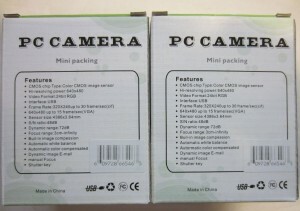 I connected them on my Linux box (Ubuntu 10.04 64 bit) and the machine recognized the cameras without any issue. To my surprise, the picture quality is actually quite good as indicated by the many reviewers. My issue however, is that the focal length of the two cameras are not the same. Image on one camera shows up larger (closer) than the other. The image color tones are also quite different between the two cameras (images from one is more blueish and more yellowish from the other). I had originally hoped to use the two cameras to do some experiments in stereo computer vision, but given that the parameters of these two seemingly identical webcams are quite different it probably would be better for me to use them elsewhere. Bus 001 Device 010: ID 1871:0306 Aveo Technology Corp. Bus 001 Device 011: ID 18ec:3366 Arkmicro Technologies Inc. So while the two webcams are sold under the same UPC, the same packaging and look almost identical, they are really two different webcams. Another issue I quickly discovered is that the buttons on top of the webcams do not seem to work. I had tried using both Windows and Linux, running a slew of applications but none could detect the buttons. At this point I decided to take a closer look at the inside to see what chip sets these cameras are using and see if I could figure out how to get the buttons to work. The chipset is marked as AV316S-1. 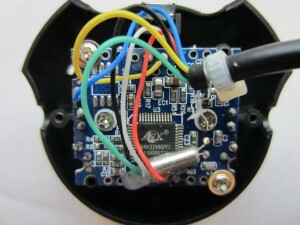 Since the chip set used does not support audio, the microphone is actually routed separately, it is included in the same packaging just for the sake of it. 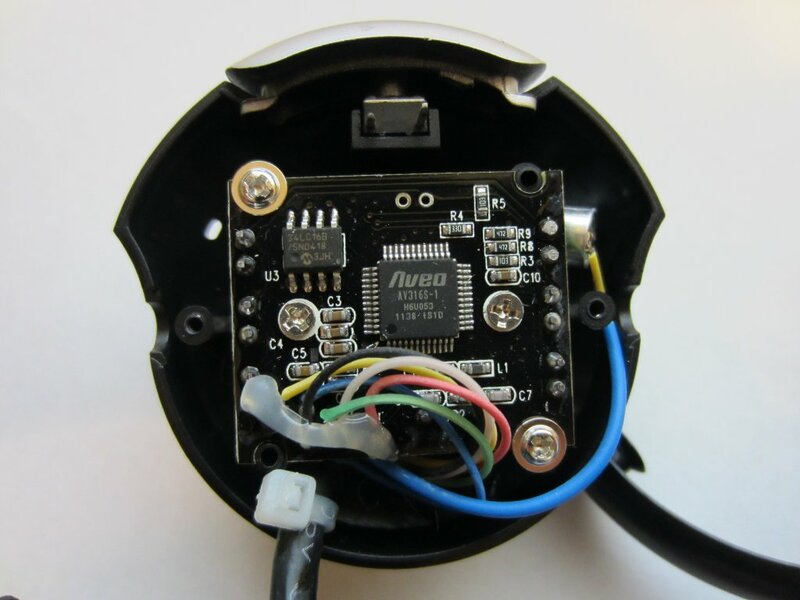 In fact, the microphone is left dangling by just the wire connection, I am sure that any minute webcam movement while the microphone is in use would produce loud, unwanted noise. If you look at the picture above, you’d see that the tactile push-button located on the top seemed to be “loose”. 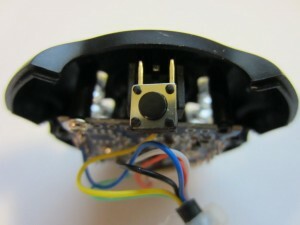 Here is a picture of this push-button viewed from the top. 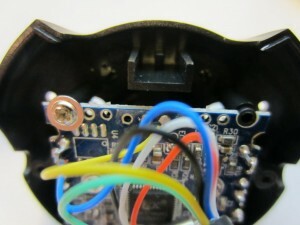 The button itself does not seem to be connected to the main board in any obvious way. At first, I thought this was some clever design. But when I gently pulled the button, it slid out without any resistance. It is actually not connected! As you can see from the picture below, the space where the button is placed has no connection to other parts of the circuit at all. So the designer actually went into all these troubles to design a switch that does not work. The main chip inside has ARX3299GPFC printed on it. But I couldn’t find the datasheet for it anywhere. There is a Microchip 24LC16B EEPROM on the board as well, presumably it is used to store the USB vendor ID. As for the tactile push-button? Well, it used the same “design technique”, except that the person who assembled this webcam somehow installed the button backward and left the unclipped pin side out. You can see this from the picture above. Without the button, I would have already raved about the camera given the good image quality and extremely low price point. The designer must have felt inadequate not to include this clicky design and decided to fake it. But the reasoning behind this is truly mind boggling. After all, it is already a pretty good product why include something that is inoperative by design? I would be _VERY_ interested in buying/trading for that “Webcam 2” from you, the one with the 24LC16B EEPROM in it. Or at least getting a copy of the data? I have several of those web cams, and want to integrate them into a product, but none of mine have the EEPROM which is how you can change from the “default” Product/Vendor ID. Of course, I’ve had no luck getting a copy of the data sheet, either…. So? What can I trade to you (other web cams)? How much would you be willing to sell it for? 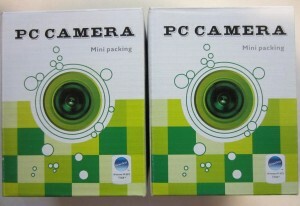 I just received a similar webcam… like many others out there also buying these cheap webcams. Chip: AV316S-3. It has the same issues. The button doesn’t look connected to the board. I can’t download anything that will make the LEDs turn on. Do you know how to turn them on? 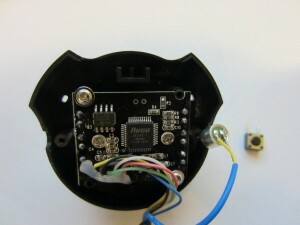 The LEDs on mine were controlled by a potentiometer which is connected directly to the USB 5V and are not controlled by USB commands. I think this is an artifact of Chinese production methods. I’ll bet that your two cameras were manufactured by a company that combined pre-made assemblies from other suppliers, or the designs for them. They may be be made by different companies using the same case, or perhaps it is the same company but they switched suppliers for the internals. The case must have been designed to have a button, but the manufacturer chose not to use it. If they took it out there would be a hole in it, and redesigning the case would be an additional expense, so…you get a dummy button. I was doing research on my webcam when I found this thread, I have an identical Aveo platform, only my fancy little clicker is actually wired to the mb, yet it doesn’t seem to serve any purpose at all. 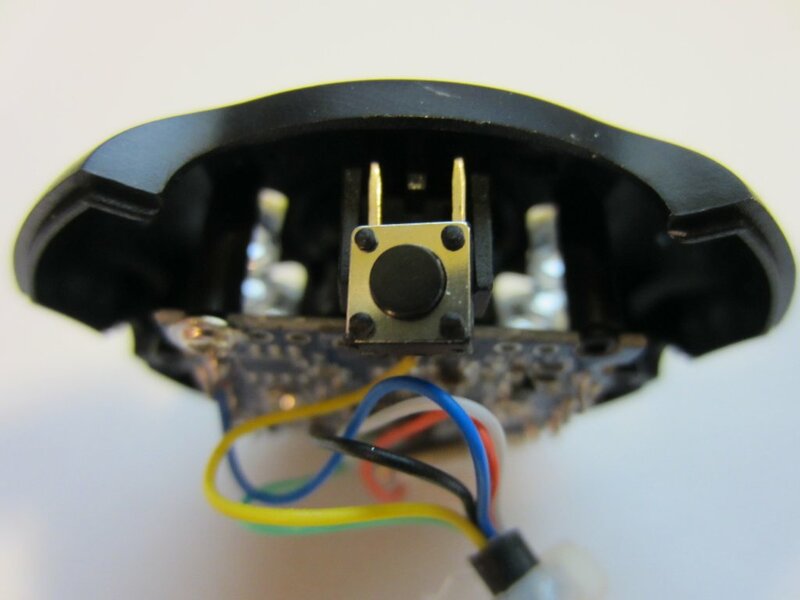 If you look at the top right corner of the mb on the “webcam 2” picture, you will see two little contact points (on the right of the R9 R8 R3) this is where this top button connects, also mine has the yellow and blue LED wires welded to the lower two contacts, again on the right side. Mine has a LED intensity control half way up the usb cord as well. I have pics, but dont know how to post them here, sorry! @?? ?